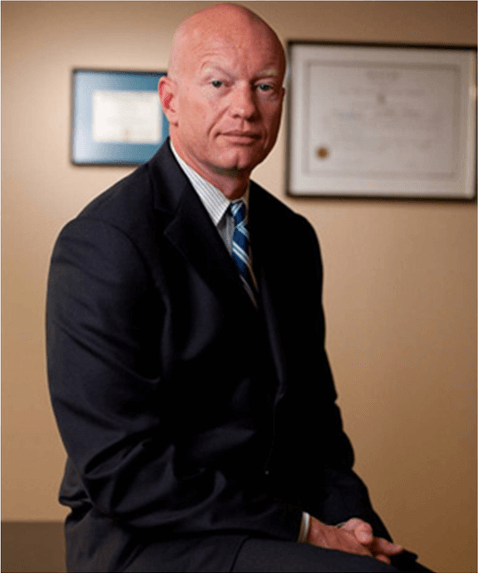 Rhode Island Traffic Ticket Defense Lawyer - S. Joshua Macktaz, Esq. If you have recieve a citation for failing to abide by Rhode Island’s traffic laws, you can face serious problems: your driving record will be affected, your insurance premiums may increase, and you may face significant fines depending on the traffic offense. In addition, if you are a commercial driver, you may face even more severe penalties. There are numerous Rhode Island traffic offenses of which you must be aware as a licensed driver. A minor lapse in judgment or a mistake can cause years of financial and legal trouble. Depending on the severity of the traffic violation, you may have to pay a fine, attend court, perform community service, or even serve jail time. No matter what legal trouble you are in, a lawyer can guide you through the process and inform you of your best course of action. Our legal team understands the challenges drivers face on the road today and want to fight on behalf of those who have mistakenly violated the law. If you have never heard of the Colin B. Foote act, the penalties may come as an unpleasant surprise. Speak to a member of our Rhode Island criminal defense firm and we will discuss the details of the laws and how they affect you today. To ensure you do not succumb to Colin B. Foote penalties, the below list documents all moving violations relevant to RI traffic laws. This lane is exclusively for motorists who cannot safely operate a vehicle and need to pull over for assistance. Not following all the signs, especially regulatory signs, can cause fatal accidents and disrupt the flow of traffic for hours. Neither of these is conducive to safe passage while sharing the road with others. Punishment for this violation may seem unfair, however, using a turn signal properly alerts others to your intended actions. Swerving between lanes, splitting lanes, and other inappropriate use of the lane can affect how others react to your erratic driving. Not only is following too closely perceived as aggressive, but it can also cause you to rear-end someone who has to stop short. Allow for plenty of space in front of you to avoid rear-end collisions. Other motorists have the right of way depending on the nearby signs, or the emergency status of the vehicle. Drivers must not cross areas expressly intent for official use at any time. A seatbelt can save your life and is mandatory for all occupants of the vehicle, according to the Rhode Island driver manual. Only legal tint, as described in RIGL 31-23.3, is permissible. Pedestrians and bicyclists have rights to access the road, which drivers must share at all times. If you are transporting any sort of cargo, ensure it is secure before taking to the streets. Carpool lanes are solely for vehicles with two or more passengers within. Text messaging, surfing the web, or doing anything that takes your attention from the road is illegal. Whether you do not have a license or it is under suspension, you may not operate a vehicle. Lanes marked for bus use only do not permit personal motor vehicles within. Rhode Island traffic laws state anyone involved in a vehicle collision must stay at the scene of the accident. Failure to do so can impact the lives of others. In addition to the above, there are more severe violations which can result in expensive fines and an increase in jail time. They are also more likely to result in a fatal accident. Regardless of whether you have drugs or alcohol in your system, driving under the influence comes with severe moving violation penalties. This encompasses many actions such as speeding, following too closely, swerving in and out of lanes, honking for any reason other than to warn others, and so on. While this may entail speeding, racing is a major moving violation, as drivers occupy two or more lanes and endanger the lives of the pedestrians and motorists in the vicinity. If you take the life of another while operating a motor vehicle, there are many repercussions to face for it. It is your constitutional right to represent yourself in any court of law. But, is this wise? To quote an adage, “A person who represents himself has a fool for a client.” This saying applies to everyone, including lawyers who represent themselves. And besides, most jobs simply do not prepare a person to cross-examine a police officer. That is something that is best left to someone who has undergone specialized training – your lawyer. An experienced Rhode Island traffic ticket lawyer can even the odds against you and potentially save you $1,000’s! As a former Rhode Island Special Assistant Attorney General from 1993-1997 Defense Attorney Macktaz prosecuted hundreds of criminal cases ranging from disorderly conduct to first-degree murder in every Rhode Island County. Additionally, along with other prosecutors, he lectured in-coming police academy cadets on proper traffic violation investigations and prosecutions. This unique experience has allowed him a wealth of knowledge not readily available to the average Rhode Island Traffic Ticket Defense Lawyer or criminal defense attorney. Since 1997 he has applied all that he learned as a prosecutor in order to better benefit hundreds of private clients.